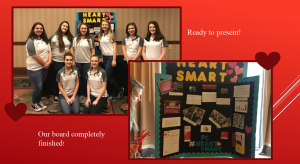 HeartSmart, the Community Problem Solving Team (CmPS) at Floyd County High School. HeartSmart is a great way to raise awareness about heart disease in the community. Heart disease is the leading cause of death in the state of Kentucky. This years project was one near and dear to each of the team members hearts. The idea came from Debbie Ferguson, a teacher at South Floyd Middle School. Mrs. Ferguson had a fatal heart attack while at school last year and passed away. The students wanted to make sure something so unfortunate would never happen again. 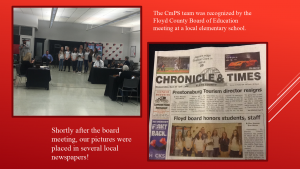 The CmPS team contacted their local hospitals and organizations to receive brochures and other information to be able to pass out around the community. 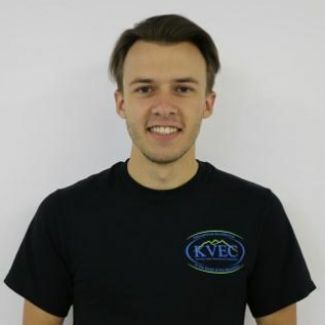 The team also hosted a Heart Health Awareness night, during this, the Floyd County Health Department set up a booth to give free blood pressure screenings. If you would like to see more of the CmPS team journey over the past school year, check out there Instagram here.